Rajasthan has many ethnic handicrafts comprised of hand spun fabrics getting produced by craftsmen from generations. One of such handicraft is called Kota Doria. In the ancient times Silk fabric of Sarees was produced at Mysore only. Maha Rao Kishore Singh, who had got great interest in the crafts during the, beginning of 17th Century took the initiative of settling in at Kota few craftsmen families specializing in the handicraft. These craftsmen families settled at Village Kiathun , which in due course was a big population in the village Kaithun. They specialized in producing Kota Doria, which became famous as Kota Doria and there are many brand names using this fabric. Kota doria mainly makes use of two kinds of yarn, one of which is thick yarn having 80 counts and the second is fine yarn having 20 counts. 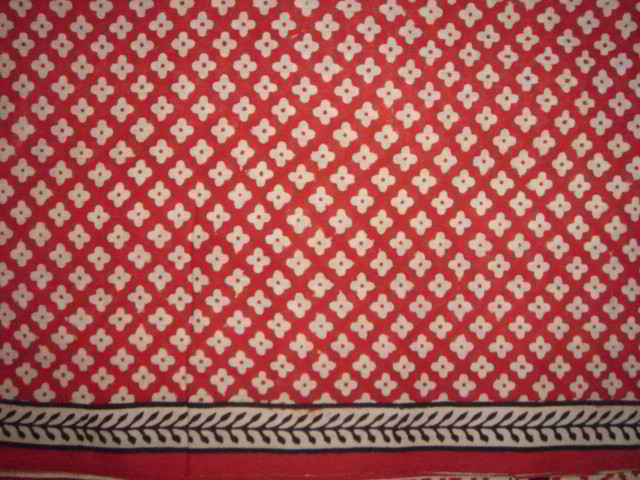 Some times silk and cotton is combined to make its yarn or only pure silk is used in the Kota Doria fabric. The special feature of Kota doria is that the yarn deployed in its weaving is the very best one, which adds resilience to the fabric by its polishing with starch and ‘kanji’, which is done exclusively in Kota Doria fabric. 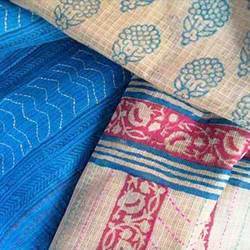 In the present times the traditional craft fabric represents a Fashion Icon of Kota and is in great demand in the domestic as well as international market.